THX 1138 was released on March 11, 1971. It bombed. American Zoetrope was spiraling towards certain doom, and Lucas was becoming ever more disillusioned with Hollywood. While George Lucas and his mentor and friend, Francis Ford Coppola had yet to become the titans of film we know them as today, their stars were still burning bright enough in the darkness of the unstable film industry of old to draw some attention, and despite American Zoetrope's troubles — not exactly the start Coppola had hoped for when he touted its state-of-the-art facility as an easy match for Hollywood — they still very much believed in what they were selling. 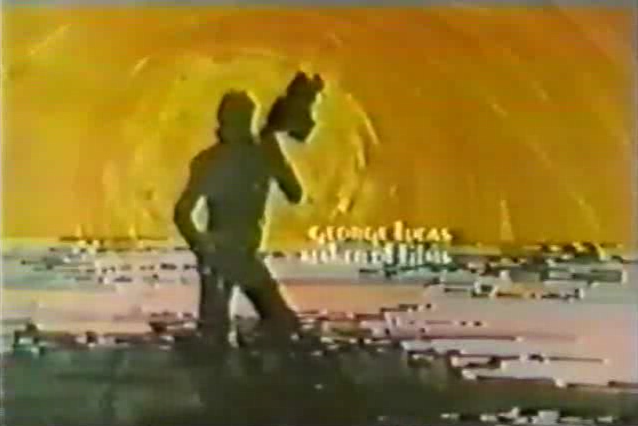 That summer, journalist and film scholar Gene Youngblood interviewed the then 27-year-old Lucas for a Los Angeles-based educational TV station, KCET in an hour-long program called George Lucas: Maker of Films. That this has managed preservation is a small media miracle in my book. It offers surprisingly rare insight into both Lucas as well as American Zoetrope’s position following THX’s release. And remember, this is before Lucas goes on to make American Graffiti and a long time before Star Wars. The fact that this at the time relative nobody is interviewed at all, is probably thanks to Gene Youngblood himself being at the forefront of film, though in a journalistic capacity, and thus in touch with what was coming out of student films. The TV special The New Cinema from 1968 aside, the rarity of any interviews, let alone footage of Lucas from this period makes this amazing enough in itself. But more than that, this was also shot very soon after Lucas had THX 1138 taken away from him, something which would happen again on American Graffiti, and ultimately one of the prime reasons Lucasfilm came into existence at all. Under only slightly different circumstances, perhaps he would have continued working with Coppola at American Zoetrope, at least for a while. Making film is an art. Selling film is a business, the trouble is they don’t know how to sell films. As a result, they try to make you make films that people will go to without them having to be sold. This is the real key to the problem. If they can’t put a film in a theater and have people rush to the door, they’re not interested. That the people with money hold the power (and the will) to control the artists frustrates Lucas to no end, as he is nothing if not a man of his own ideals. To gain independence from the gatekeepers of Hollywood was at the forefront even then. Of personal interest is a passing comment that USC had renamed THX 1138 4EB, his student short, to Electronic Labyrinth: THX 1138 4EB for copyright reasons as well as Lucas talking about how American Zoetrope is planning on entering the educational and industrial markets, where there’s good money to be made; something which thankfully never came to pass. The last third of the interview belongs more to Gene Youngblood than Lucas, but it's interesting nonetheless, hailing the arrival of the video cassette as the democratization of film, something which was perhaps before its time and a little oversold, but still surprisingly relevant today. Most remarkable perhaps, is how Lucas’s integrity to his original vision and the choices he’s made along the way have remained seemingly unaltered since he first set foot on USC.